Planning a vacation? Even if you’re not, you might want to soon. 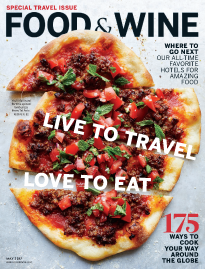 F&W’s travel guides take you to the best places all over the globe, where we explore our favorite restaurants, bars, hotel and more. We have lists of the best wineries in Napa, amazing ramen spots in Tokyo and must-visit bakeries in Paris. You won’t have any regrets after your next trip, because your epic itinerary will make plenty of lasting memories.